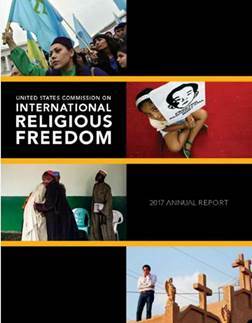 PARIS, 27 April 2017 (VCHR) –The Vietnam Committee on Human Rights (VCHR) welcomes the 2017 Annual Report on International Religious Freedom issued on Wednesday by the US Commission on International Religious Freedom (USCIRF), and its recommendation that Vietnam be designated as a “Country of Particular Concern” (CPC) by the US administration. Under the 1998 US International Religious Freedom Act, CPC designation applies to “any country whose government engages in or tolerates particularly severe religious freedom violations that are systematic, ongoing, and egregious”. USCIRF has consistently recommended Vietnam for CPC designation every year since 2002. The USCRIF report recommends 16 countries for CPC designation in 2017 including Burma, China, Eritrea, Iran, North Korea, Saudi Arabia, Sudan, Tajikistan, Turkmenistan and Uzbekistan (already on the CPC list), Central African Republic, Nigeria, Pakistan, Russia, Syria and Vietnam. This is the first time Russia has been placed on the USCIRF list. The US State Department designated Vietnam as a CPC in 2004 and 2005, but removed it in 2006. In a 2016 report marking the 10-year anniversary of Vietnam’s removal from the CPC list, USCIRF regretted that the US had lifted the designation too soon, resulting in backsliding and continuing abuses of freedom of religion or belief by the Vietnamese authorities. “USCIRF’s report reveals the gulf between rhetoric and reality concerning religious freedom in Vietnam” said Vo Van Ai, President of the Vietnam Committee on Human Rights (VCHR). “Discrimination between state-sponsored and independent religious groups, harassments, intimidation and beatings, as well as state confiscation of religous property are the daily lot of many religious communities, in stark contrast to the government’s discourse. CPC designation is critical to maintain international focus on these ongoing abuses”. According to USCIRF’s findings, there is a “disconnect” between the Vietnamese government’s “ouvertures to improve religious freedom conditions” and “ongoing actions taken by local officials, public security, and organized thugs to threaten and physically harm religious followers and their houses of worship or other religious property”. Whilst the report noted improvements in certain areas, it stressed that “the Vietnamese government either directs or allows harassment and discrimination against unregistered, independent religious organizations, particularly those that also advocate for human rights and/or religious freedom”. 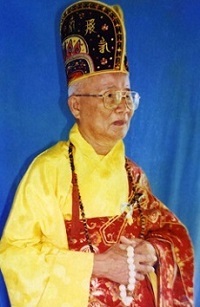 Many individuals and groups are targeted by the Vietnamese government because of their faith, ethnicity, advocacy for democracy, human rights or religious freedom, or desire to main independent of Communist government control, reports USCIRF, citing the Unified Buddhist Church of Vietnam (UBCV), independent Cao Dai, Hoa Hao and Khmer-Krom Buddhists, Montagnards, Hmong, Falun Gong practitioners and followers of the Duong Van Minh sect. 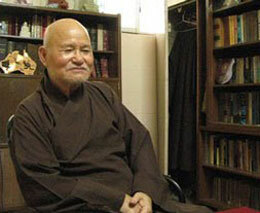 USCIRF expressed concern for the plight of several detained religious figures, including UBCV Patriarch Thích Quảng Độ, Christian human rights lawyer Nguyễn Văn Đài, Khmer Krom Buddhist Venerable Thach Thuol and Lutheran Pastor Nguyễn Công Chính. Not only religious organizations but also lawyers, bloggers, activists and civil society are the target of repression, said the report. USCIRF observed that “in general, the Vietnamese government continues to crack down on anyone challenging its authority”. Whilst acknowledging positive new language in Vietnam’s new Law on Belief and Religion, USCIRF cited serious concerns raised by critics of the law. Indeed, since the very first drafts of the law became public, VCHR has stated repeatedly that the text would legalize excessive government control over religious activities and force religious groups which cannot, or choose not to register with the state, into virtual illegality. In 2016, along with 53 prominent religious and civil society organizations inside and outside Vietnam, VCHR sent an Open Letter to the Vietnamese National Assembly Chair Nguyện Thị Kim Ngân proposing amendments to bring the law into line with international human rights standards. Created under the 1998 International Religious Freedom Act, USCIRF is an independent, bipartisan government advisory body that monitors religious freedom worldwide and makes policy recommendations to the US President, Secretary of State, and Congress. Under the International Religious Freedom Act, the U.S. may impose a series of measures, ranging from travel restrictions to economic sanctions, on countries designated as CPCs.